Inkmasters Cairns Inc presents Inkfest, a festival of printmaking, a new and innovative addition to Cairns Festival. Inkfest showcases this fascinating and diverse form of art. Some of Australia's top artists will be here as Artists in Residence prior to Inkfest and will deliver workshops. G.W. 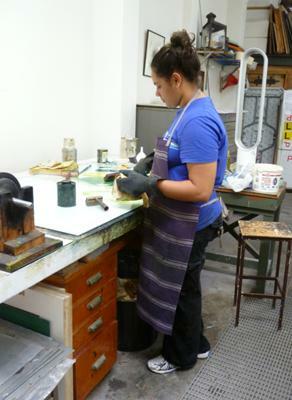 Bot from Canberra will conduct a lithography workshop 21/23 April; Michael Kempson from COFA Sydney, an etching workshop 23/25 June and Rew Hanks, NSIT Sydney, reduction linocut workshop 30 June/2July. Members of the public can join the Pull a Print Bus Tours on 22 August (tickets at Ticketlink $30), and each will help to make an original print (to take home) at Editions Tremblay or Djumbunji Press. 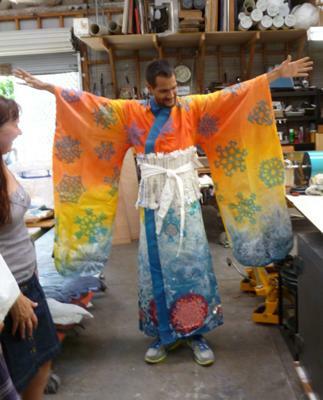 They will also visit the studio of a local printmaker and the Inkfest Exhibition. Kids will make the Kid's Longest Print at Muddie's playground on the Cairns Esplanade in the Big Tent (18/19, 25/26 August) and this will be displayed at Festival on Collins on 2 September. 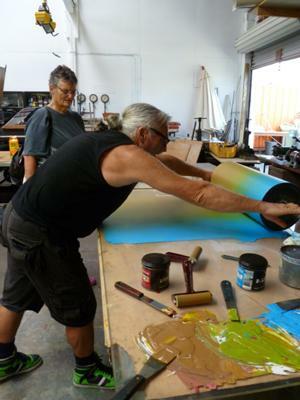 Two Inkfest exhibitions (27 July-22 August) one at the Tanks Art Centre and one at Canopy Art Space will show the best of local printmakers artists alongside some of Australia's most celebrated artists.